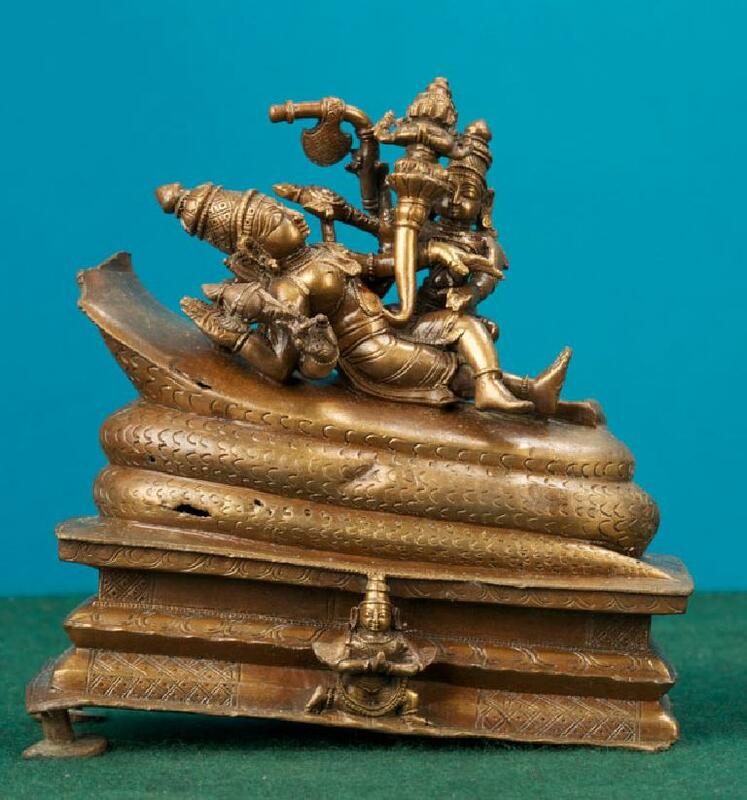 This is an extremely beautiful figure of four armed Lord Ananthasayi lying on Adisesha. Lord Brahma, Goddess Sri Devi and Garuda are also depicted in this sculpture. Ananthasayi is the typical form of Lord Vishnu.